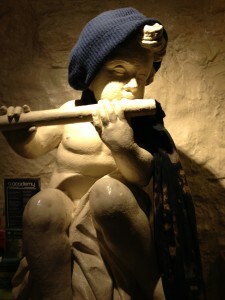 HomeUncategorizedThe Bird and Baby: Tolkien’s Favorite Pub! Should you ever find yourself in Oxford, pop in for a pint! 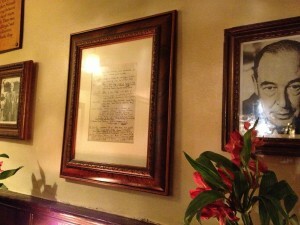 The Eagle and Child is newly expanded and full of literary and historical memorabilia. A new back room, displacing the famous “Rabbit Room” where The Inklings met last for the last time in October 1949, is cheerily decorated with twinkle lights and… bookshelves. 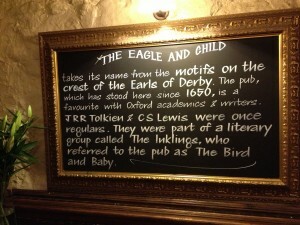 Find the Eagle and Child on 49 St. Giles Street in Oxford and explore the place for yourself! 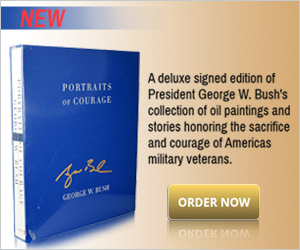 Related: The complete, five-volume set The Lord of the Rings from Easton Press. Start your own literary pub.